One of the joys of cycling is how convenient it is to park a bicycle right in front of your destination. There are bicycle racks and safe bicycle parking all over Dublin City. And we could always do with more! A survey by Dublin Cycling Campaign shows that one in 6 people who have had a bicycle stolen do not return to cycling, and a further 26% reduce their cycling habits as a result of theft. It is estimated that 20,000+ bikes are stolen annually in Dublin alone, a 100% increase since 2008. This could mean that over 3,000 people stop cycling each year in Dublin due to bike theft, and possibly a further 5,000 reduce the amount they cycle as a result of bike theft. It takes less that 5 seconds to steal a bike with a poor quality lock as shown by this video taken on Parnell Square on the 14th April. Watch our guide on how best to lock your bike Avoid The Thief. Please always use good quality bicycle locks! Dublin Cycling Campaign is working behind the scenes to ensure that ALL of the authorities treat bike theft more seriously. Read more about Don't let this happen to your bike! 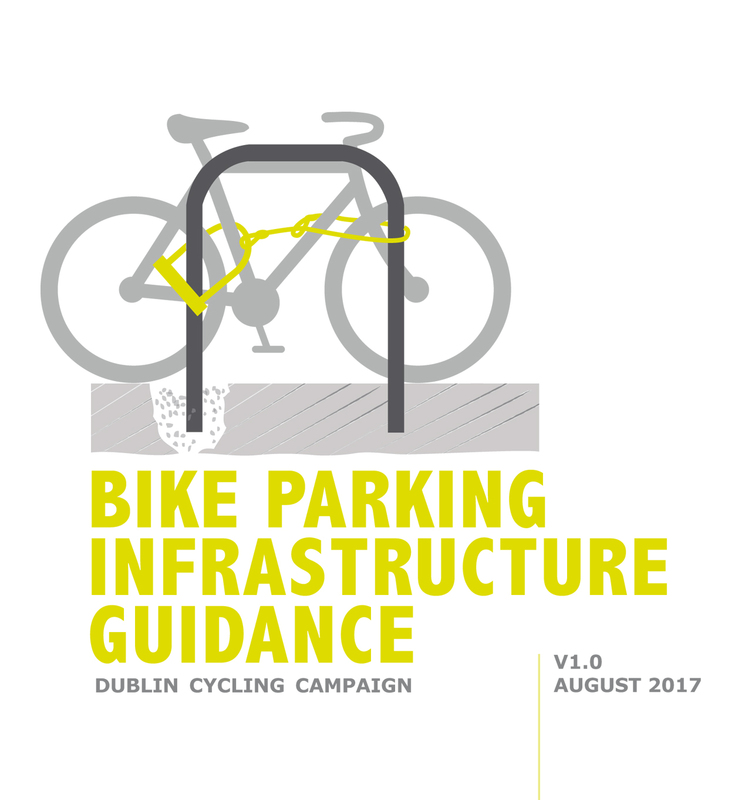 In the past, there has been an under provision of secure cycle parking in apartment complexes in Dublin. This has led to bicycles being stored in apartments and on balconies potentially detracting from visual amenity and increasing maintenance costs for communal areas. The quality and quantity of cycle parking provision in apartment developments should encourage residents to adopt cycling as a sustainable mode of transport. Read more about Prize-winners in Campaign's Bike Theft Survey! As part of PARK(ing) Day we’ll be running a free Bicycle Clinic on Molesworth Street from 10am to 5pm on Friday the 19th September. Qualified mechanics from the Rediscovery Centre in Ballymun will be on hand to do a check up on essential features of your bicycle. And if your bicycle passes the test you’ll get a free set of LED bike lights! There’ll be some nibbles from Cornucopia while you wait. In December 2009 Dublin City Council launched a new initiative to provide extra cycle parking spaces in the city centre. They removed 16 car parking slots from the ground floor of Drury Street Car Park and replaced them with 200 bike spaces.